Here at Cloudmanic Labs, we pride ourselves on doing excellent creative work. To keep up a constant stream of high quality work from happy employees, we did something a bit unusual: We’re a deadline-free zone. There were many reasons that factored into this move, but first and foremost: Deadlines are harmful to the creative process. Let me walk you through how that happens, and why losing the deadlines can be beneficial. I would say 99% of all deadlines are soft deadlines. What I mean is, if a soft deadline is missed, the world will not come to an end, you will not be fired, your company will continue to stay in business, and profit will stay on track. When you look at most deadlines they are nothing more than a date a manager randomly picked on the calendar, or some date the sales guy told a client. Of course, if the deadline is external it’s never good for your company's reputation to miss; however, it is much worse to deliver crappy work just to hit a deadline. Before I get too far, yes, I realize some deadlines are hard deadlines. I would say these hard deadlines only happen 1% of the time. For example, if you’re a retailer doing promotions for the Christmas season, missing your deadline and completing the promotions in January is pretty harmful. But I’m not talking about those deadlines. What I’m suggesting is that better management could lead to hitting the deadline, while operating as a deadline-free company. The word “deadline” means something has to get done by a certain point. Good employees are often stuck staying up all night, or working all weekend long just to hit that deadline. Most deadlines are too tight. The worst thing is when an employee works around the clock, delivers on time, and then finds out management moved the deadline for some silly reason. It really was not a deadline; it was a target date. Employees only have so many bursts of work in them until they burn out. Why would you burn your employees out on a soft deadline? You want to keep your team motivated so that when you really need them, they are ready to run – not burned out from the last sprint. Under a deadline an employee is forced to work during a certain period of time. An employee might be sick, an employee might be burned out, an employee might just be having a bad day. He or she will do their best work when it is best for them. Everyone is different. Managers should give employees the freedom to work when they are in “the zone.” You can’t force someone to be in “the zone,” but a deadline does just that. If the task is a creative task, forcing it into a deadline often leads to mediocre work. How can a manager possibly tell an employee how long it is going to take for the employee to come up with a brilliant idea? About a year ago, we declared Cloudmanic Labs a deadline-free zone. Everyone has tasks and you get them done when you get them done. There is a deadline, but typically only a few people even know about it. When running a company, you should have some idea of when things are going to get done so you can plan. In order for us to have the freedom to plan while also keeping to a deadline-free zone, we organize way in advance. We assign tasks way before we need them done, giving the team ample time to be creative. By being a deadline-free company, the team keeps stress in check, burnout rates are lower, and the quality of our work just goes up and up. Having the freedom to take the time it really needs to hatch the best idea possible pays dividends all throughout the company. The results have been great this last year. It turns out when employees are less stressed, they do better work, faster. Removing the artificial requirement of a soft deadline opened up clarity, which led to vast improvements in efficiency and quality. 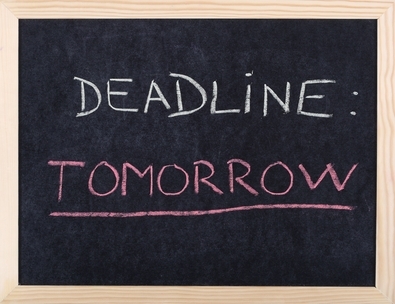 Next time you set a deadline, take a step back and make sure it really matters.